Posted on 28th November 2018 at 11:27 am. Many of us have gardens with places that spend a large proportion of the day receiving little to no sunshine, such as areas under trees, or alongside a fence or building. Or, you may have a small, north-facing garden or courtyard, which means very little of your garden receives any sunlight at all. If that’s the case, don’t fret, as it, of course, doesn’t mean that you can’t grow many different types of plants and shrubs to brighten up these areas. You just need to pick ones that will thrive, whilst receiving little to no sunlight. In today’s blog post, we’ve compiled a list of our 10 favourite plants and shrubs that love shady conditions. Alongside each plant or shrub, we have also included whether it is suitable for growing in full, partial, or moderate shade. We define partial shade as receiving three to five hours of direct sunshine, during summer. Moderate shade is two to three hours, and full shade is defined as anything less than two hours. It is important to know how much sunlight certain areas in your garden receive, so observe the position of the sun throughout the day and note down how much sunlight the areas you want to plant receive each day. Without further ado, let’s begin our list of 10 shade-loving plants and shrubs. The shrub, Fatsia japonica, is ideal for shaded areas. 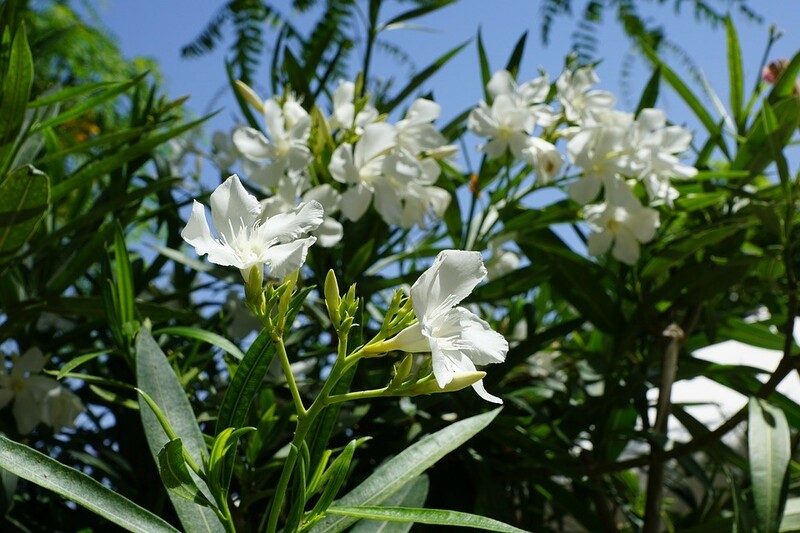 It has beautiful palmately lobed leaves that are sure to look amazing in any garden. During the autumn months, it also produces a lovely white flower, followed by small black fruits. It is ideally suited to full or partial shade and, what’s more, it is also a very low-maintenance shrub, perfect for busy people. The next shrub on our list is a variety of rhododendron, known as ‘Summer Fragrance’. This particular shrub prefers partially shaded areas, so it does need a certain amount of sunlight in which to thrive. It’s best avoided for fully shaded areas. It does, however, offer lots of interest throughout the entire year. It flowers in early summer, with clusters of pale yellow flowers, then its mid-green leaves turn yellow and orange during autumn. 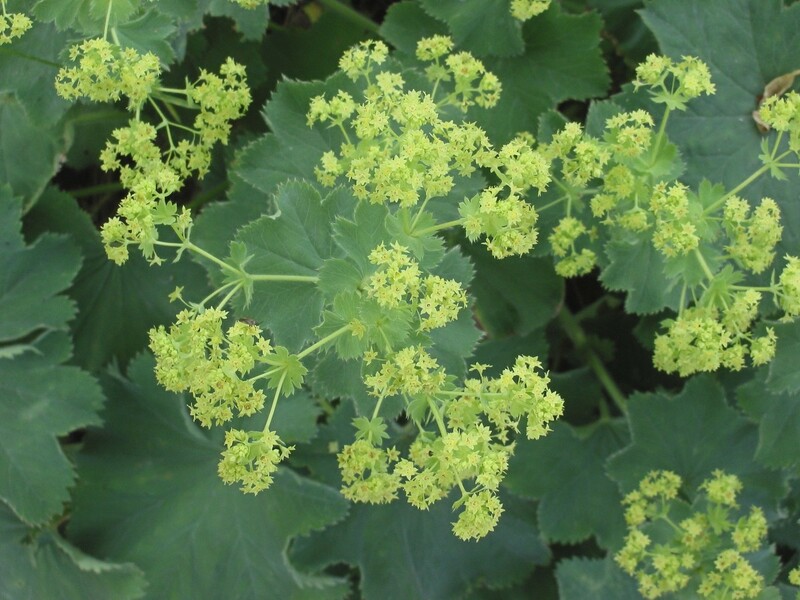 Alchemilla mollis, also known as ‘lady’s mantle’, is a herbaceous perennial with lobed light green leaves and small yellow flowers. 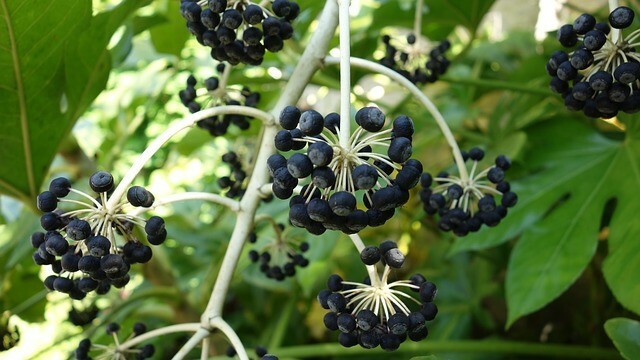 It’s an extremely versatile plant that has the ability to thrive in many different types of soil and with various degrees of sunlight, ranging from full shade to full sunlight. This plant is ideally suited for cottage and informal garden settings. 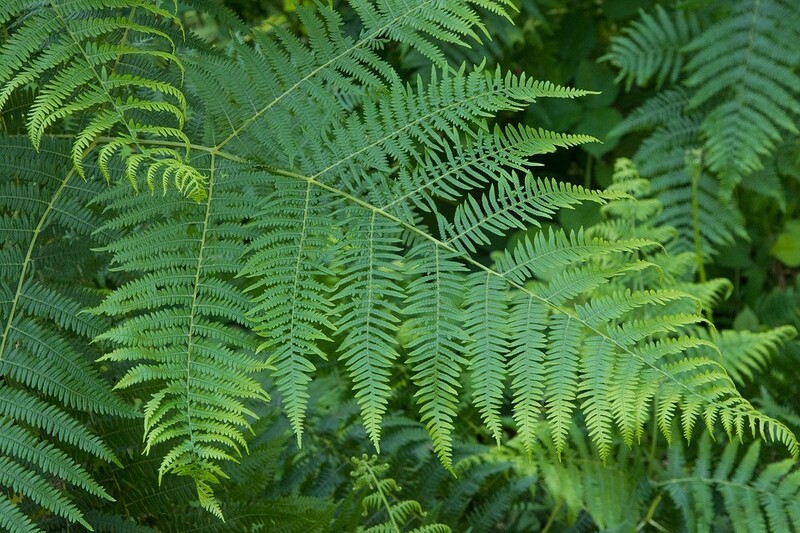 We couldn’t write an article about shade-loving plants and shrubs without including ferns. They have the ability to grow in some of the most inhospitable areas and many varieties of fern are evergreen, so they’ll offer colour all year round. There are, of course, many varieties of fern to choose from, with our favourites being Asplenium scolopendrium, Polystichum setiferum ‘Pulcherrimum Bevis’, and Blechnum spicant. If you are looking for a perennial with year-round interest, then look no further than the Iris foetidissima. It’s an evergreen, so you can expect colour all year round. It produces yellow-tinged, dull purple flowers, followed by large pods that open to reveal stunning orange-red seeds, which will be visible throughout autumn and winter. This hardy perennial can be grown in either full shade or full sunlight and it is sure to add colour to any garden. 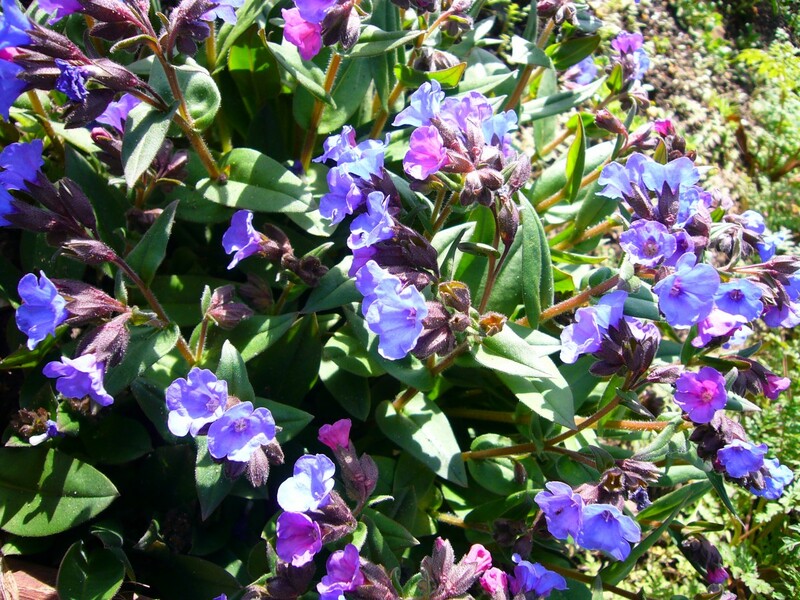 Pulmonaria ‘Blue Ensign’ is perfect for sheltered areas, such as under trees and alongside garden fences and buildings. This herbaceous or semi-evergreen perennial grows to around 30cm in height and has broad, dark green leaves. 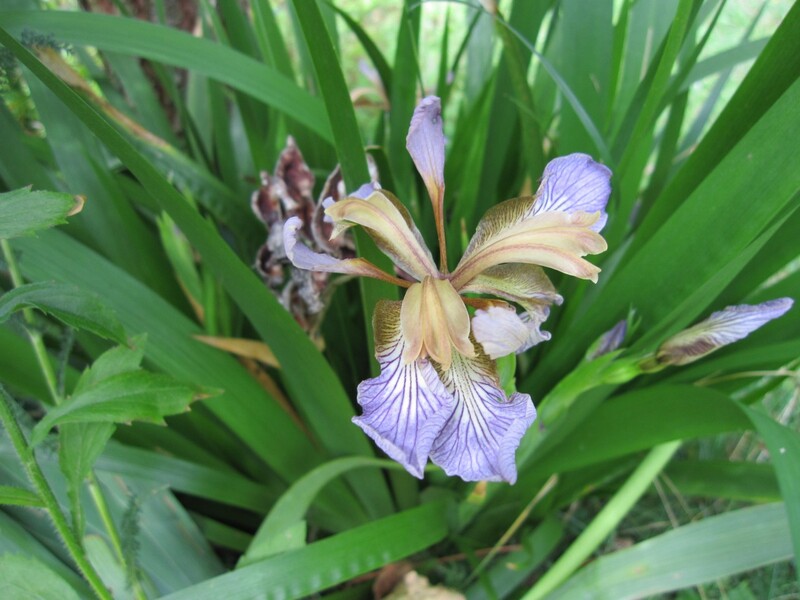 Striking patterns develop on the leaves in summer and it produces vibrant blue-violet flowers during springtime. This easy-to-grow plant is perfect for north-facing gardens. 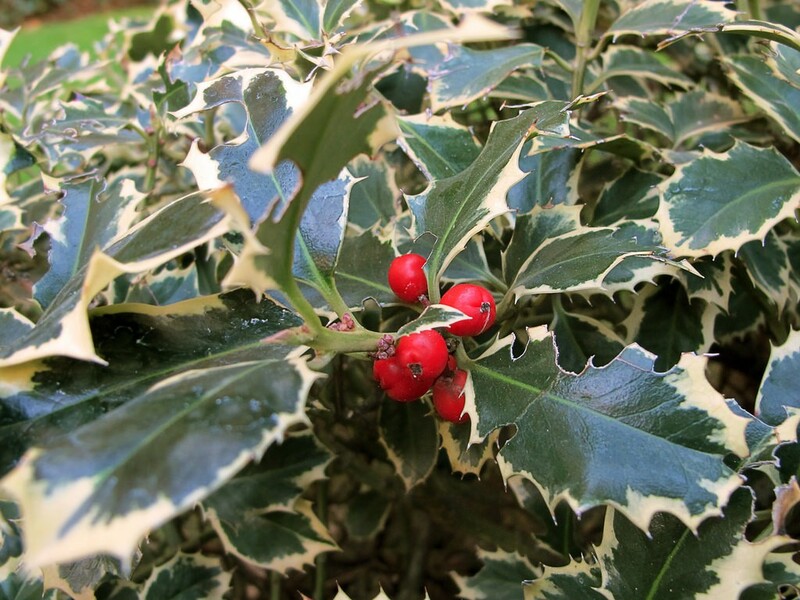 This variety of holly, known as ‘Silver Queen’, is a deciduous or evergreen shrub with spikey leaves and small white flowers. During the autumn months, female plants will also produce vibrant berries. However, the berries can cause a mild stomach upset if ingested, so if you have young children or pets, this one may be best avoided. The plant also requires a reasonable amount of sunlight to perform at its best, so again, avoid this one in fully or moderately shaded areas. However, if you have a partial shade area available, then the Silver Queen is an excellent choice, as its spikey leaves will add texture to your garden. 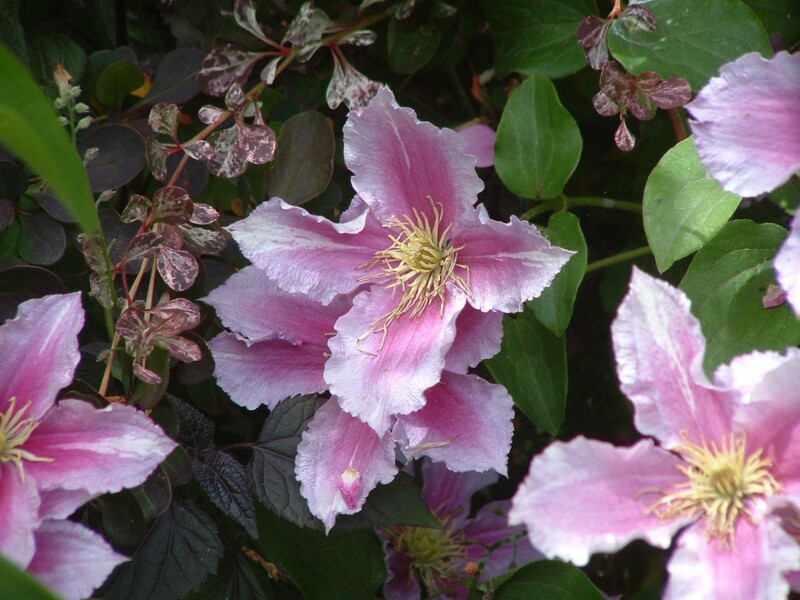 Clematis ‘Nelly Moser’ is a climbing perennial that is perfect for covering shady garden walls. This beautiful climber has large star-shaped, lilac coloured flowers, which often make two appearances, first in early summer and again in late summer/early autumn. The Nelly Moser does need a certain amount of sunshine in order to perform at its best, so it will need to be planted in a partially shaded area of your garden. 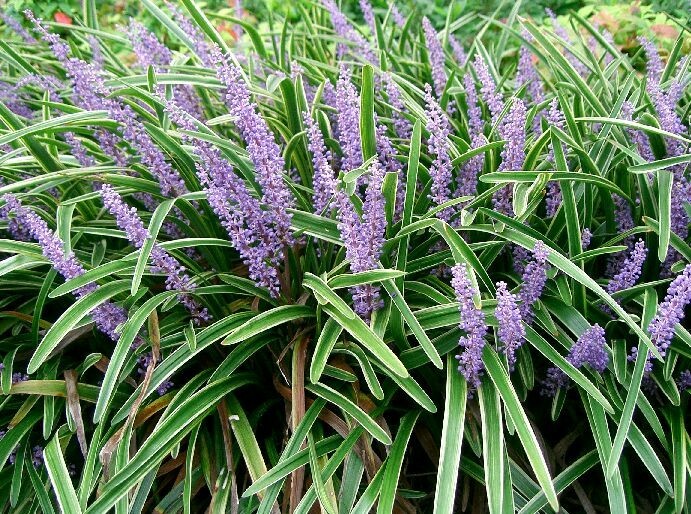 Liriope muscari, also known as ‘big blue lilyturf’, is another herbaceous perennial. It forms in compact clumps, with dark green leaves and small violet-purple flowers. The spikes of the Liriope muscari grow to around 30cm and, in autumn, the small flowers are followed by stunning black fruits. This perennial will thrive in full, moderate and partial shade, in sheltered areas of the garden. Camellias are another evergreen shrub. They can grow to around 2.5m in both height and spread, making them ideal for covering larger shaded areas. 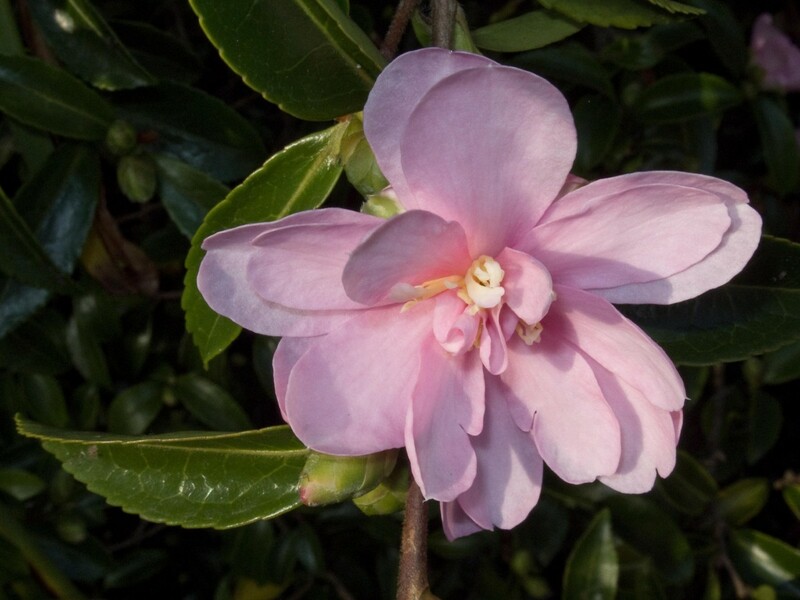 In winter, and also in early spring, ‘Jean May’ produces stunning pink flowers that grow to 10cm in diameter, making it the perfect choice for brightening up dark shaded areas of your garden. Camellias can also survive in areas that receive full sunlight, so long as the roots are kept moist, making this a fantastic all-round shrub. If your garden receives little sunlight then fear not, as this list includes many stunning plants and shrubs that wouldn’t look out of place in an RHS gold medal winning garden. Before rushing out to buy new plants for your garden, we recommend that you first observe how much sunlight different areas are exposed to and then select your plants based upon whether your beds are classed as full, moderate or partial shade. Armed with this knowledge, you’ll be able to select plants and shrubs that will transform your garden and thrive in the environment they’re placed in. Is there anything we have missed from our list? If you’re a fan of any shade-loving plant or shrub that we haven’t mentioned, then let us know by leaving a comment below. We’d love to hear your ideas.